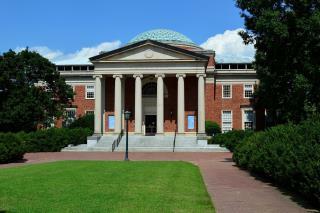 (Newser) – The University of North Carolina-Chapel Hill has revised a textbook for a required fitness course that called cancer "a disease of choice" and included a theory asserting Holocaust victims failed to tap into their inner strength, the AP reports. The university released a statement saying revisions to 21st Century Fitness began in spring, in cooperation with the publisher, the News & Observer reported this week. The textbook is part of online courseware sold by Perceivant to multiple universities, and was authored by two Brigham Young University faculty members. It's read by students in the one-credit course Lifetime Fitness, which assigns students reading material on lifestyles while incorporating physical activity. It's required of all undergraduates, with nearly 5,000 taking the class each year. Student critics say the textbook didn't give enough attention to the genetic and societal factors that affect people's health, implying cancer, diabetes, and cardiovascular problems were functions of people's choices. Regarding the Holocaust, the textbook referred to a theory by Holocaust survivor Viktor Frankl, who wrote in his book Man's Search for Meaning that humans can find meaning and a reason to live even amid the worst of conditions. The textbook's version: "The people in the camps who did not tap into the strength that comes from recognizing their intrinsic worth succumbed to the brutality to which they were subjected." A Jewish human-rights activist says, "Succumbed to brutality? These innocent people were systematically starved, beaten, and worked to death by the Nazis." "A Jewish human-rights activist says, "Succumbed to brutality? These innocent people were systematically starved, beaten, and worked to death by the Nazis." Yes, that's what he said, they succumbed to brutality. You can twist the words any way you like but what happened happened. Oh and also - he was there, you were not. Every fitness book requires a chapter on the Holocaust. The relevance is so obvious. Understanding Perspective is TOTALLY Lost Today..